We, the undersigned civil society organizations, applaud the AICHR for convening the AICHR and CSOs interface meeting within the “AICHR Training/Symposium” in Chiang Rai, Thailand, on 13 – 15 October 2018, as a follow up to the CSOs, AICHR and relevant bodies’ interface meeting in November 2017. 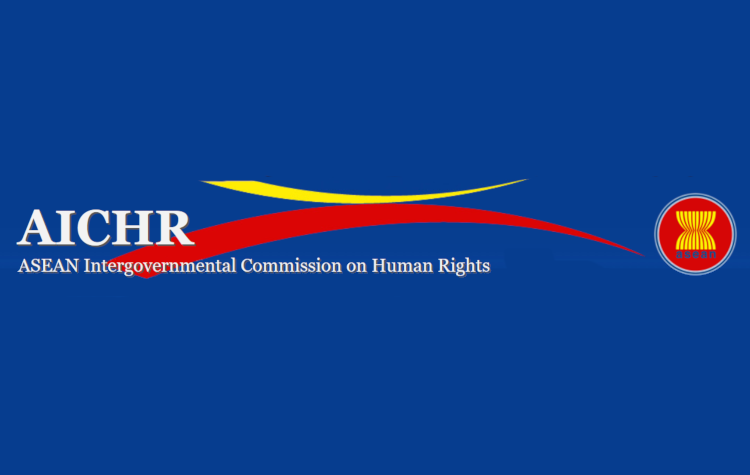 We note AICHR’s effort to provide updates in regards to the promotion and protection of rights of women, children, and persons with disabilities, business and human rights as well as the implementation of SDGs in ASEAN. We, however, would like to express concern on the experience of those women, children, and persons with disabilities who suffer intersecting discrimination since they also belong to marginalized and vulnerable groups such as refugees, migrant workers, indigenous peoples, stateless people, minorities and people with diverse sexual orientation and gender identity and expression in various ASEAN member states. Recalling the multi-level oppression faced by them, which varies from being denied health services, denied citizenship, discrimination and stigmatization, disregard for rights, violations of their civil and political rights, torture and other physical and psychological abuse and more, we call on AICHR to take note of these complex violations in its work on this topic. We would also like to bring your attention to the ongoing threats faced by human rights defenders working on behalf of the aforementioned or other communities and issues in the region. Repressive laws are used to target human rights defenders, especially marginalized groups such as women, children and LGBTI (lesbian, gay, bisexual, trans, and intersex) defenders, for they remain subject to fabricated charges, State-sanctioned violence, imprisonment and extrajudicial killings. The recent cases includes, but are not limited to the arbitrary detention and deportation of Debbie Stothard in Vietnam1, the imprisonment of artist and activist, Seelan Palay, who’s also charged under Singapore Public Order Act2, for a one-person performance art, on the past detention without trial of Mr Chia Thye Poh, for 32 years; charges against Jolovan Wham under the Public Order Act for exercising his rights to freedom of expression and peaceful assembly and association in Singapore; and the killing of land rights defender Mariam Uy Acob in Maguindanao, Philippines3. These violations contribute to the shrinking civil society space and democracy deficit in the region4. In addition, the crimes against the Rohingya, as well as other ethnic minorities, continues as documented and analysed in the report of the Independent International Fact Finding Mission on Myanmar (IIFFMM)5. The report has set the record straight by bringing to light the longstanding institutionalised and systematic oppression and atrocities committed by successive regimes. Furthermore, the report found similar patterns of violations by the Myanmar military in ethnic areas in northern Myanmar as minorities continue to experience discrimination and persecution on ethnic and religious grounds. 13. Urge AICHR to highlight the protection of human rights defenders as the key priority issue in the 2019-2020 work plan. Withal, to create a regional study, capacity building and workshop on the plethora of W/HRD protections aspect with engaging the various sectoral bodies, three pillars of ASEAN communities as well as stakeholders at the regional and national level in every AMS. Lastly, we reiterate our role as civil society organizations to strengthen the mandate and action of the AICHR as a body to encourage and help ASEAN Member States in fulfilling as well as expanding their obligations under international human rights law.